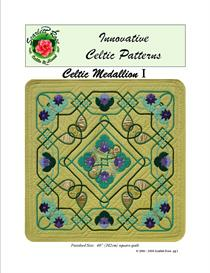 This is the first in a series of four Celtic designs by Scarlett Rose. 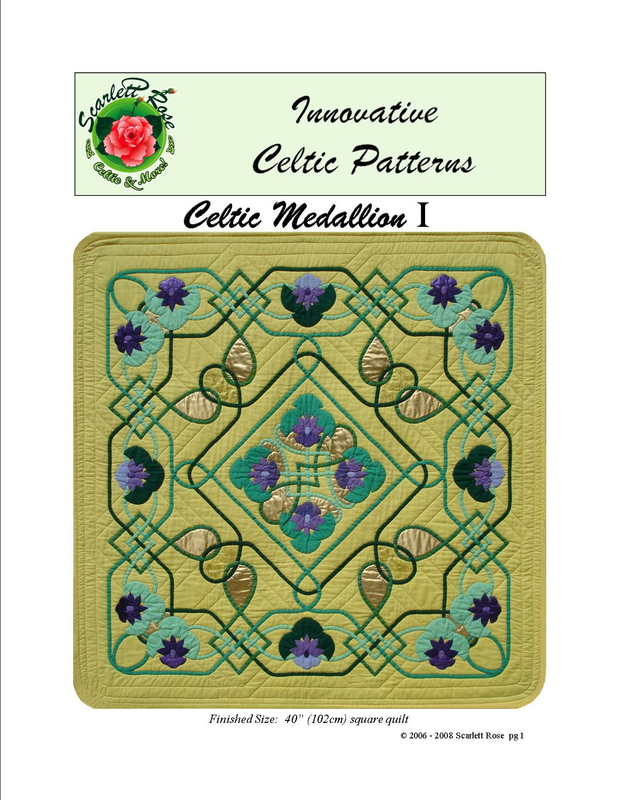 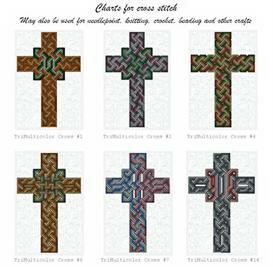 Celtic Medallion I is a 40" wallhanging which features Celtic knotwork combined with appliqued flowers. 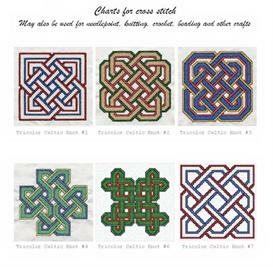 Instructions with full size pattern templates and layout diagrams are included. 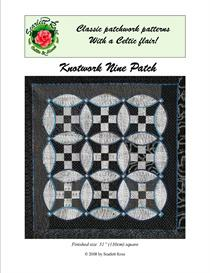 As a bonus, there is an extra layout diagram for a 90" bed size quilt version, Interlace on Point, which uses the same templates as the smaller wallhanging.